Very successful purchase day at Best Buy. I took pics (because I am a proud papa), but it was with my cell and the ceiling light had to be on. Apologies in advance for out-of-focus shots and glares. The box, pre-opening. 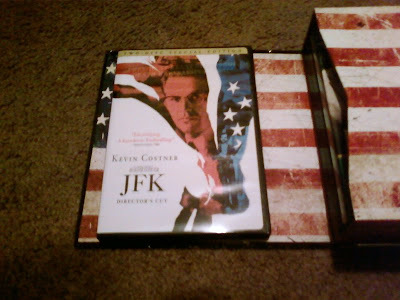 So happy am I to have this at last. 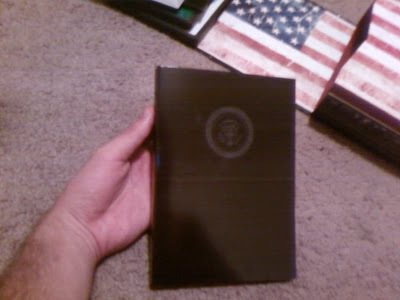 Annnnnd that's what it looks like when you open it. 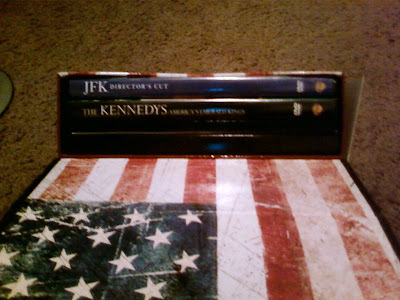 Two DVD's, a book, an envelope, and a folder. Sweet. 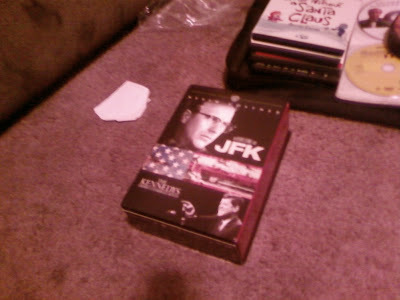 Two-disc JFK, starring Kevin Costner, Kevin Bacon, and Tommy Lee Jones in his Oscar-nominated role as Clay Shaw. 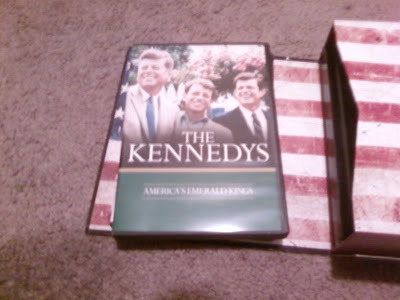 The Kennedys: America's Emerald Kings. Noice. 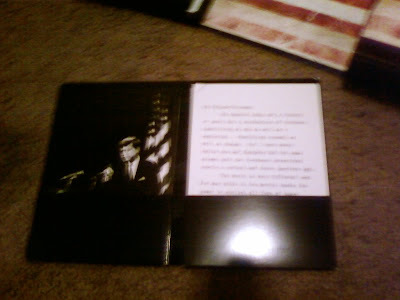 JFK book, featuring behind-the-scenes photos from the production. 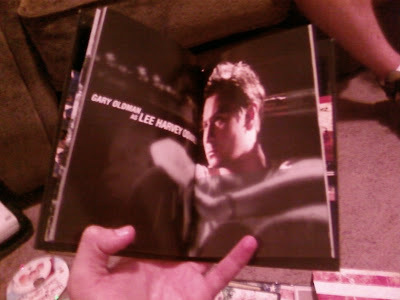 Example: Gary Oldman as Lee Harvey Oswald. 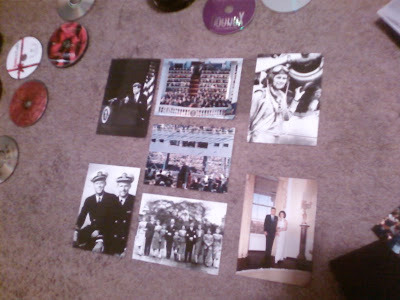 Sweet pics that came in an envelope. 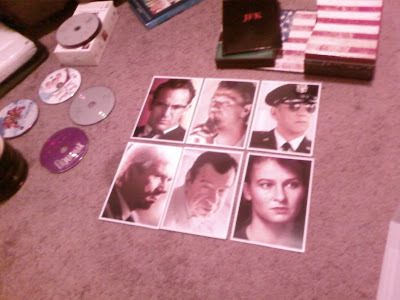 Clockwise from Top Left: Kevin Costner as Jim Garrison, Gary Oldman as Lee Harvey Oswald, Donald Sutherland as X, Tommy Lee Jones as Clay Bertram, Walter Matthau, the chick who plays Oswald's wife. 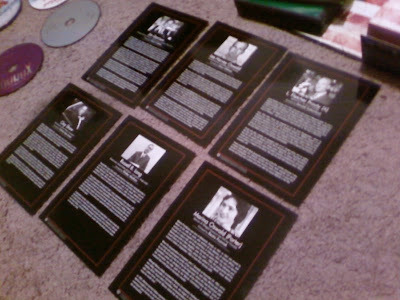 The reverse of each pic: photo of actual people that inspires their respective characters, plus bios. Which is, you know, great. 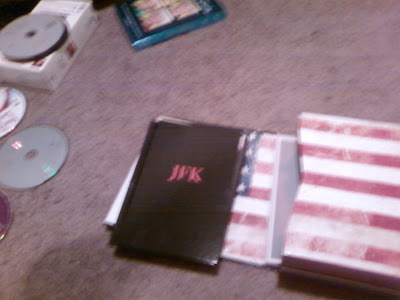 In the folder: pics on the left, documents on the right. Seven photos that came in the folder. There's at least twenty of these. It's awesome. 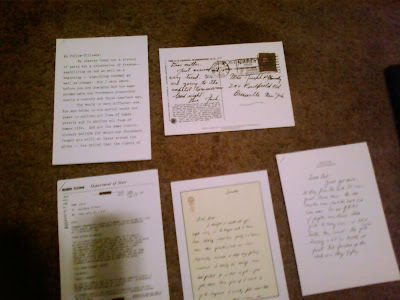 Also in folder: correspondence to and from Kennedy himself. 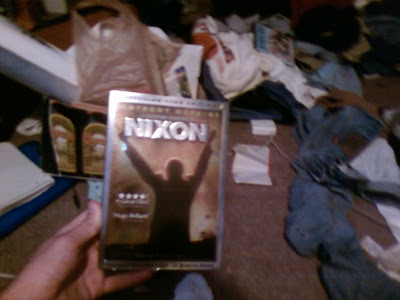 Also, two-disc Nixon. 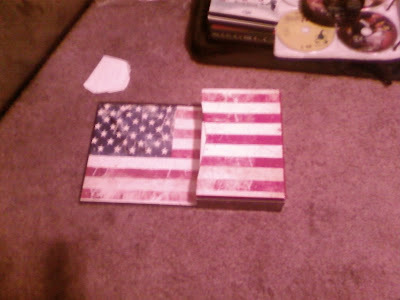 I feel so accomplished. AHHHH THE TRAILER FOR IT'S COMPLICATED!!! !